For a tasty and fun treat for your lips, try Bonne Bell Lip Smackers. 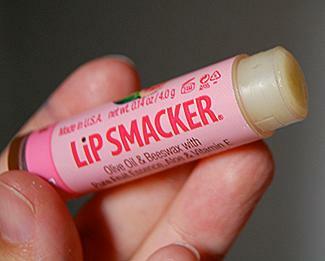 You can find Smackers in fruity flavors as well as in options such as tinted, sparkle and more. 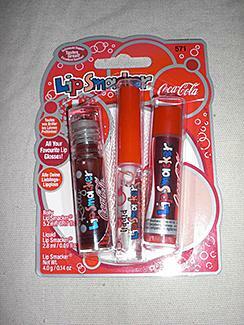 The Lip Smacker line has been expanded to include other items such as nail polish, fragrance and even hair products. The Color Kiss line consist of a combination of flavor and tint. The collection includes a balm to moisturize lips and a sponge on gloss to add a hint of color glaze. The flavors available are Strawberry or Melon. In addition, Smackers contain both flavor and fragrance. These are made from natural and artificial ingredients that are safe for cosmetic products as well as for food products. All Lip Smackers are tested to make sure they are of high quality and safe for consumers. Girls and woman of all ages can appreciate the fun flavors found in Lip Smackers. Whether you want a bit of color or just need to moisturize your lips, there are many options available that will have your lips looking their best.